An online petition has been launched calling for Ozzy Osbourne to be knighted. 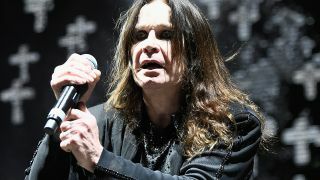 It’s been started by Helen Maidiotis, who wants the Prince Of Darkness to be named Sir Ozzy Osbourne in light of his contributions to music as both a solo artist and his work in Black Sabbath – and she's looking to garner support from at least 5000 fans. The petition is addressed to the UK's Department of Culture, Media and Sport, with a statement on the site reading: "For five decades Mr Osbourne has entertained the world with his music. It goes on to say: “He has won countless awards and accolades. He was the first to receive a star on the Birmingham Walk Of Stars – he was also honoured with a star along Hollywood Walk Of Fame. Maidiotis has been behind two other petitions to have Ozzy made a Knight Of The Realm – and at the time of writing it has picked up more than 3000 signatures.